Disaster preparedness training makes better first responders – CSE Software Inc. In the event of a cataclysmic natural or man-made disaster, people need to know how to react. This is a vital skill for self-preservation, but it's a necessary function of first responders like fire, police and emergency medical support. If these individuals aren't certain of the procedures and protocols in place to assist with evacuations and other courses of action, more people could be harmed during an event than could otherwise have been. Developing simulator training for these individuals is crucial because there's no other way to create a realistic environment for them to experience safely. Replicating the sights, sounds and experiences these first responders are likely to encounter during a variety of events in a controlled setting is essential to getting the best possible performance from them in the field when the real thing happens. It's the responsibility of first responders to protect the public from any threat, regardless of the severity, but some situations may be more difficult to deal with than others. Violent outbursts by private citizens, including domestic arguments, public disputes, physical or psychological attacks involving weapons or other implements can create unrest that is hard for responders to deal with and disperse, especially if there are those in need of medical attention or other assistance. These emergency personnel must be trained in a controlled environment to deal with these threats so that they can assist in restoring public order. For these reasons, simulator development has been used to recreate similar scenes and put officers and responders through their paces. The Houston Chronicle reported on one such instance, where a full year's worth of setup and execution led to a large-scale training exercise for hundreds of officers, medical personnel and others who would regularly be involved in these sorts of events. Even federal workers were involved, and those from out of the area who knew about the simulator development who petitioned to participate. "There is almost a hunger for this type of realistic training in the emergency response community," said Shannon Sharp of the Humble Independent School District police force. "All of these emergency response personnel agree that consistent training and practice is the key to ensuring the immediate and correct response to a real world incident." Natural disasters are also a major problem for responding agents, as conditions may not be standard when operating under severe threats. Tornados, floods and blizzards pose serious health and safety hazards, and trying to prepare for these events requires simulator development to show responders what elements they're likely to have to overcome in the field. In Alabama and South Carolina, simulator development is helping to teach emergency personnel about these kinds of threats. They even partake in bee emergency drills, according to the Charleston Daily Mail, wherein live bees are actually used during training to give participants a truly realistic experience. Reminder News wrote that Connecticut responders ran a computerized simulator drill of a massive disaster event for its town offices in Vernon. The drill helped familiarize personnel with different systems and protocols the area has arranged in the event of fire and natural disaster emergencies, as these intricate software programs are not regularly used by those who should have in-depth knowledge of their operations. "Everything's a learning experience," said James Kenny of the Vernon police department. "We've adopted a very disciplined incident command system. We do need a better telecommunications [system] in [the command] room. In the heat of battle, it can get noisy." 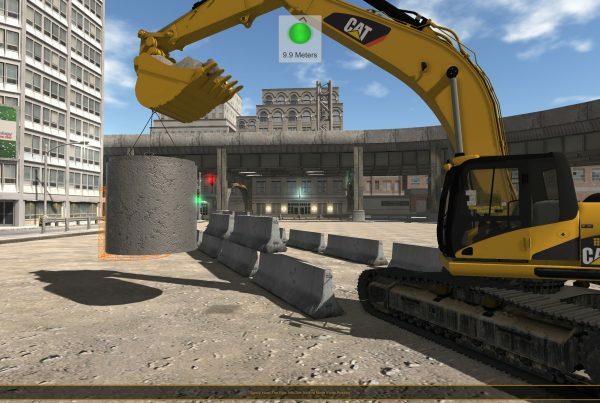 For information on building the best simulator development to train personnel for these kinds of events, contact CSE Software Inc. for an assessment of business needs. There's no industry or organization that can't benefit from properly trained staff in the event of an emergency. 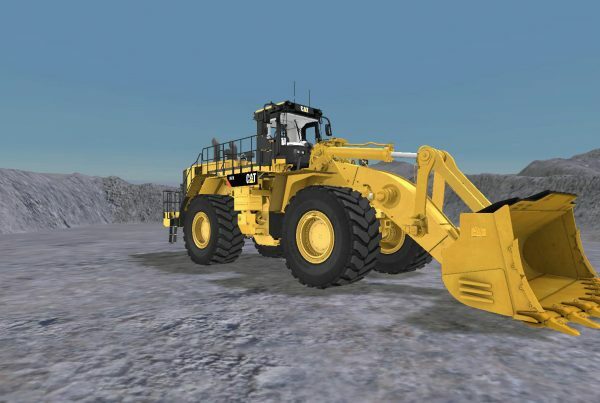 Contact Stacey Burris at sburris@csesoftware.com or 1.309.670.7595 and ask for a simulator development demo today! 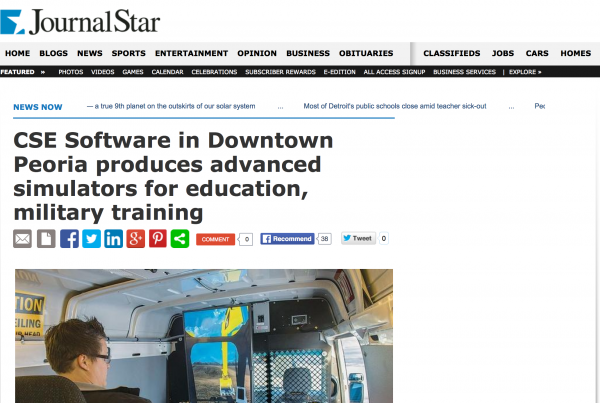 CSE Software's simulation development is in the news!